Aladdin burst onto the stage with lots of impressive skating as he dodged the palace guards, followed by an appearance of everyone's favourite genie and much-loved song 'A whole new world'. The show was fast paced with so many characters taking to the ice this time compared to previous years. 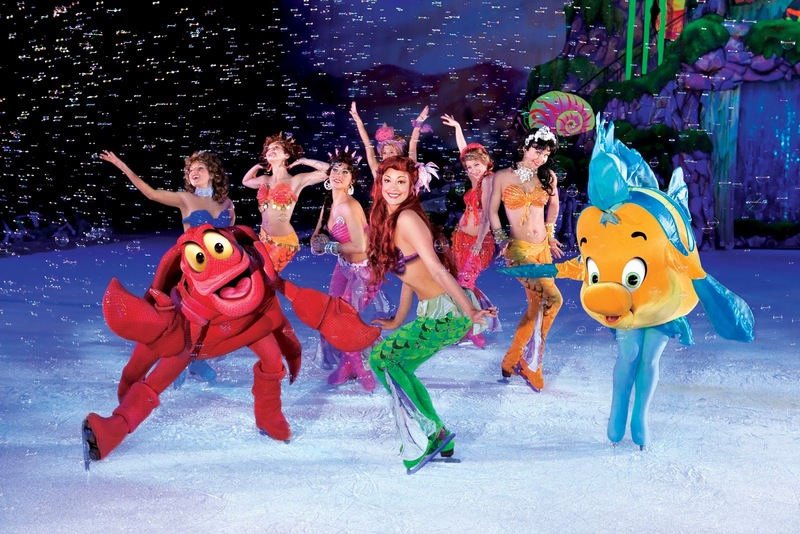 We went under the sea with Ariel and were blown away with the amazing 'under the sea' dancing and costumes. We rode the waves with Moana as she restored the heart of Te Fiti with the help of Maui as he entertained us with 'your welcome'. We watched Prince Philip defeat the dragon and rescue Sleeping Beauty with true loves kiss. 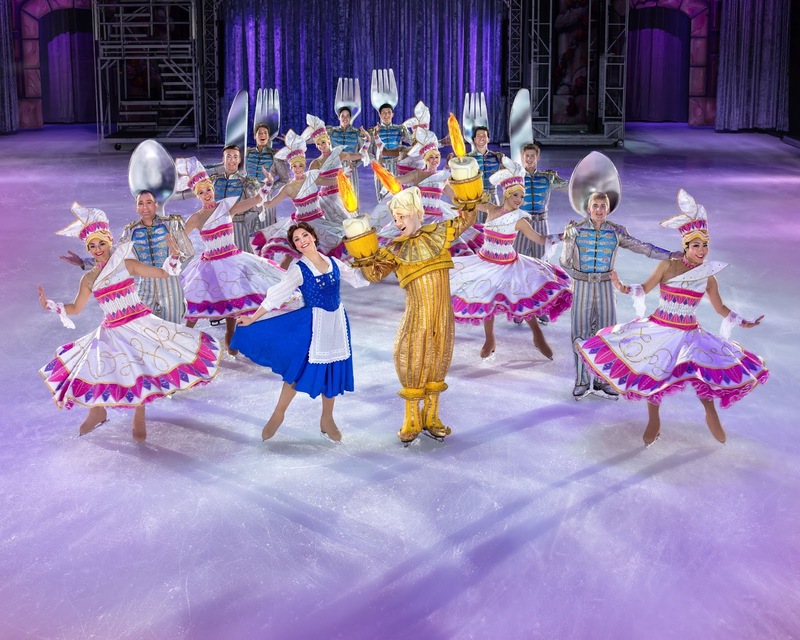 We watched Rapunzel and Cinderella dance with their true loves and Belle and lumiere lit up the ice with their routine. The final act was, of course, everyone's favourite sisters Anna and Elsa. 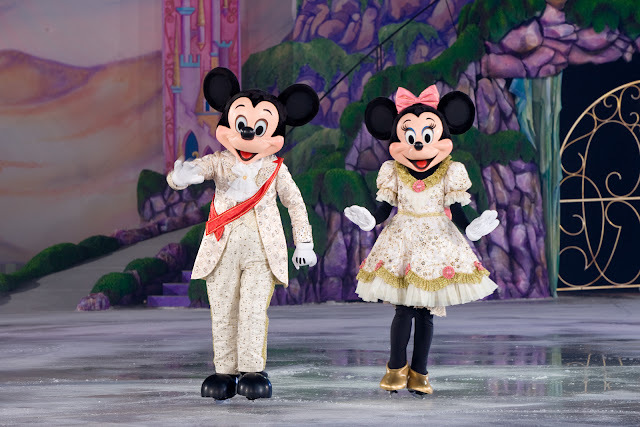 I admit I groaned a bit when I heard Frozen were on again as they have featured heavily in the past four years of Disney On Ice shows, however this year it was a shorter version which was much better. The children in the audience once again all sang along to 'Let it go' and Olaf provided some laughs. The show ended in a finale with all the princesses and princes doing some impressive couples skating that had us in awe. Plus the rest of the cast took to the ice to finish off the show in true Disney On Ice style. We all really enjoyed the show, the fact they had so many characters and scenes meant that the show was fast paced and kept children entertained throughout. My daughter loved that she got to see all of her favourite Disney Princesses all together on the Ice, Ariel, Moana and Rapunzel were real highlights for her. It was a really lovely show that proves that no matter how big your dreams are sometimes they really do come true. The costumes were amazing as always, the skaters were breathtaking and performed some pretty cool stunts and the whole show was flawless. I don't know how they do it but each year the show seems to get better and this year was my favourite yet. Arrive early, we arrived an hour before the show starts as there are extra security checks in place. Don't take any backpacks or large bags with you as you can't take them in the arena with you. It is expensive for food, drinks and merchandise. For example, a flashing light cost £20, Candyfloss was £9, Princess soft toys were £22, It cost £14 for your photo taken in the entrance area and kid t-shirts started at £12. Disclosure I was provided with tickets to the show for the purpose of this review, however all opinions are my own. My daughter is a huge fan of Disney, she would live the part with all the princesses and princes doing couple skating. Looks like a really lovely show. Thanks for.sharing those tips. Sometimes, I tend to bring a big bag when going to these shows.